I am most happy whenever I wear clothes that radiate simplistic modernism.It is true that the absence of color creates a presence especially by wearing minimal clothes with special attention on construction. 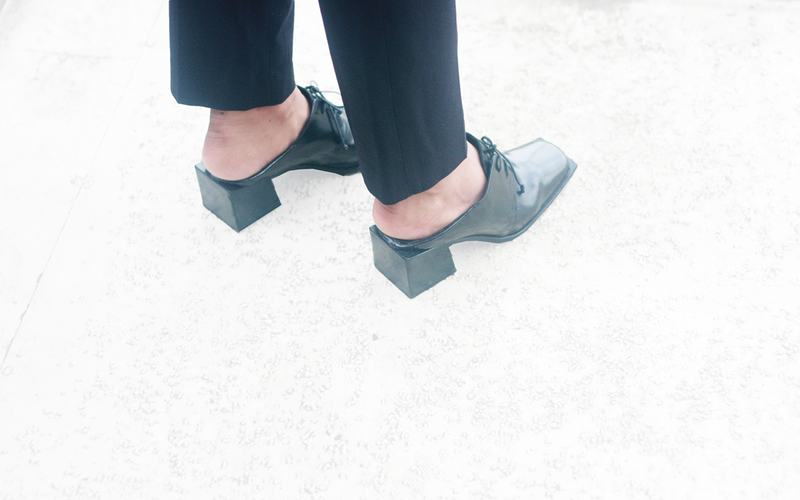 The geometric sensibilities are very evident from the eyewear down to the shoes. 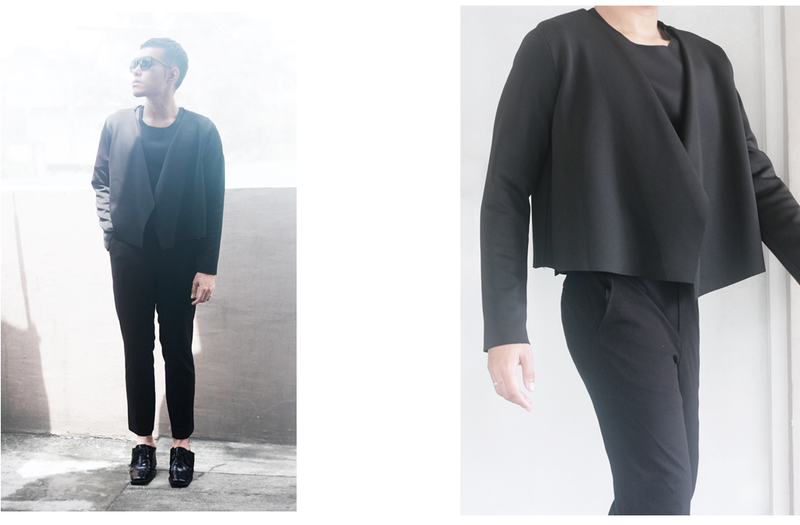 A look inspired by , of course, Rad Hourani. 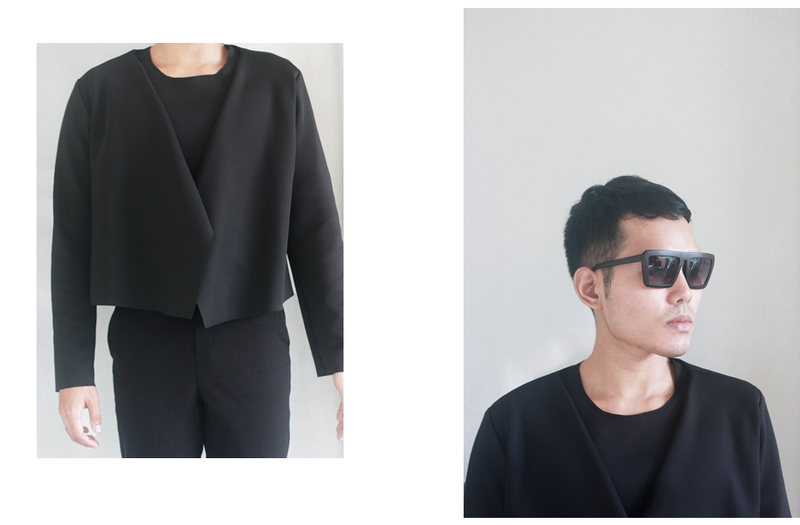 I am so excited to test drive the clothes that I've been creating for Ninthsheep. It's actually me and my boyfriend's clothing line. The inception was rooted from our desire to create clothes that we would love wearing without the pressure on the notion of selling it. Living the minimalist code includes making your own clothes versus purchasing on every store and this turned out to be a happy kind of vice. I am so excited to wear other designs here and I will keep everyone updated.And finally, I was able to wear my DIY derby mules. such an exciting collaboration karl! the blazer is really beautiful. i look forward to seeing more great designs from you both. 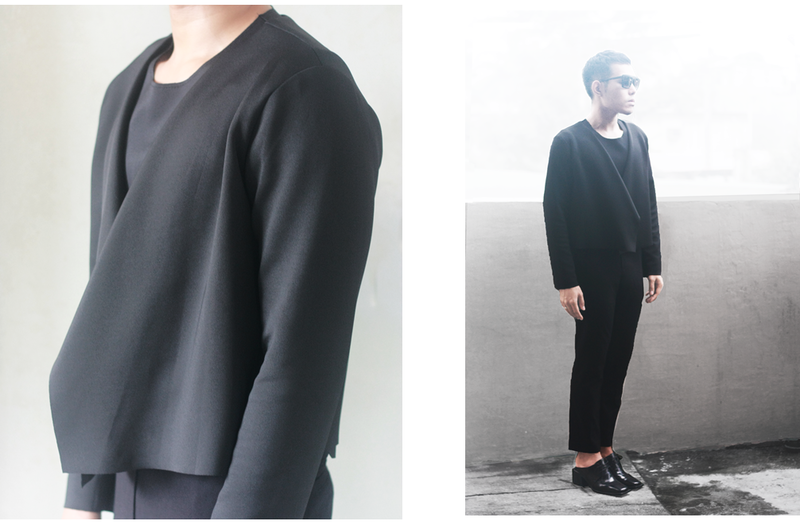 Loving to see you in all black again and I share the love for minimal and modern clothes. So refreshing in a world overwhelmed with over busying and over decorating. Thanks.. I couldnt agree more. I appreciate that we are in the same wavelength , Mel. so so so sweet of you. From what i can see, youre pretty much successful there.. I love ya.. the "slowly but surely" , indeed, is a great mantra to live on. why thanks so so much , love! so so so perfect !